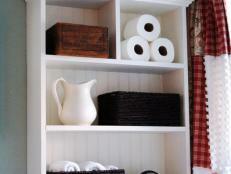 Transform bare bathroom walls with functional and decorative crate shelving. 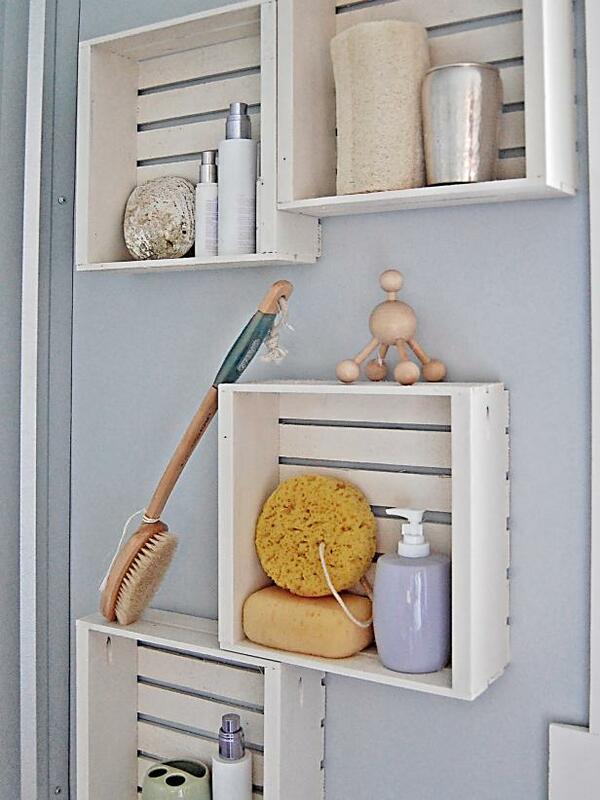 Repurposed white crates are creatively placed on the bathroom wall. 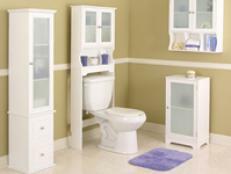 The crates add functional storage for bathroom necessities and beautifully accent the room's light blue wall color. 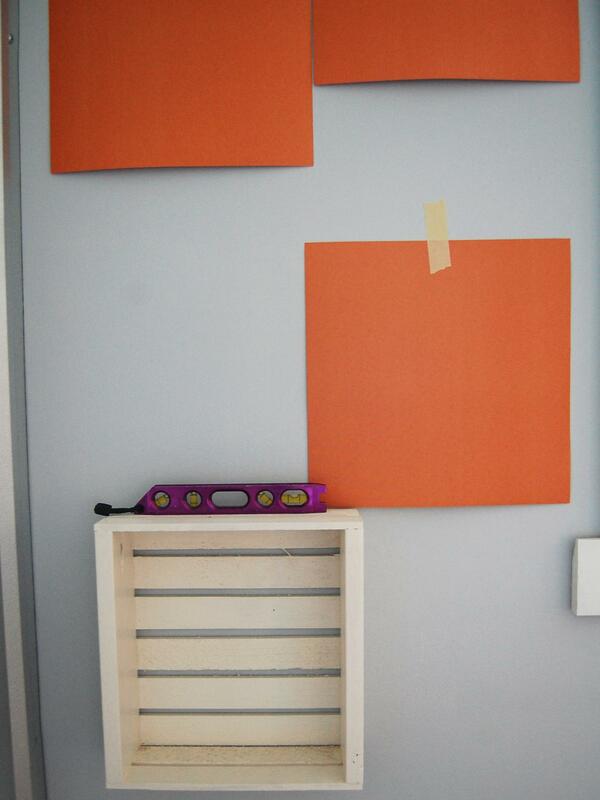 Paint or stain crates as desired with spray paint. Let dry completely. 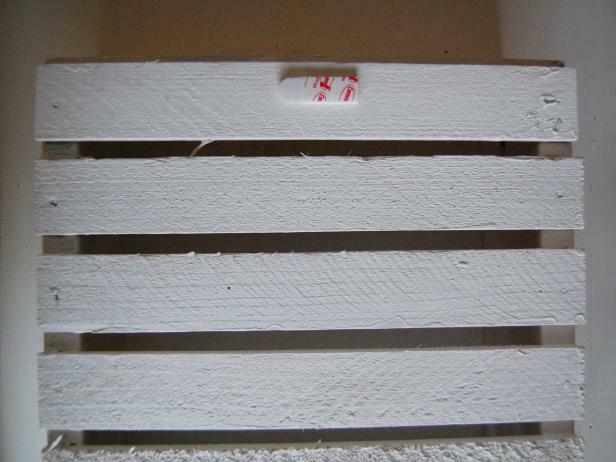 Follow directions on packaging to apply strips to backs of the crates. Use up to four strips per crate. Each large strip holds 4 pounds; with 4 strips, crates can hold up to 16 pounds. 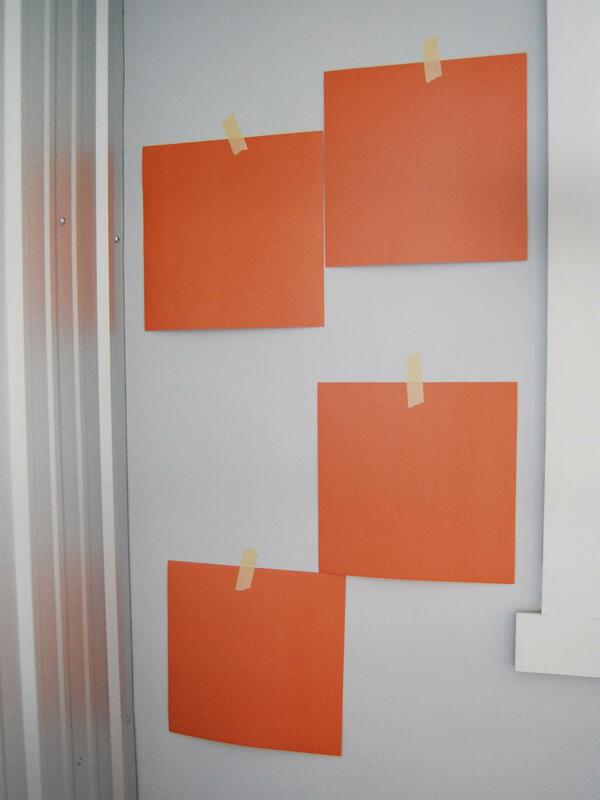 Follow directions for strips to hang crate on wall, making sure the crate is level. Continue hanging crates, replacing paper patterns. 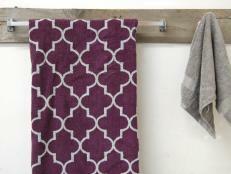 Easy bathroom update: reclaimed wood adds country style to a towel bar. 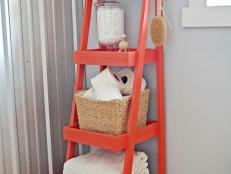 Add a pop of color to any plain white shower curtain with fabric ribbon. 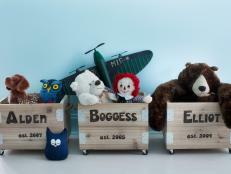 Rescue that tub! Save that sink! Fixing up your old bathroom fixtures can cost hundreds less than full-out replacing them, whether you do it yourself or hire a pro. 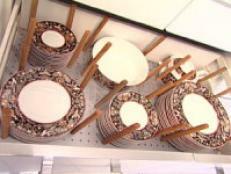 Your bath needs an organization overhaul, but you don't have the time or budget for a remodel. No matter: With $500 (or less!) 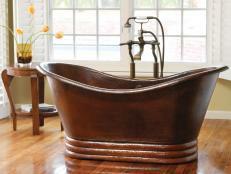 you and your bath can conquer the mess. 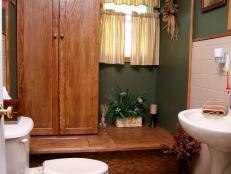 A bathtub and shower are torn out and a linen closet is built in their place.